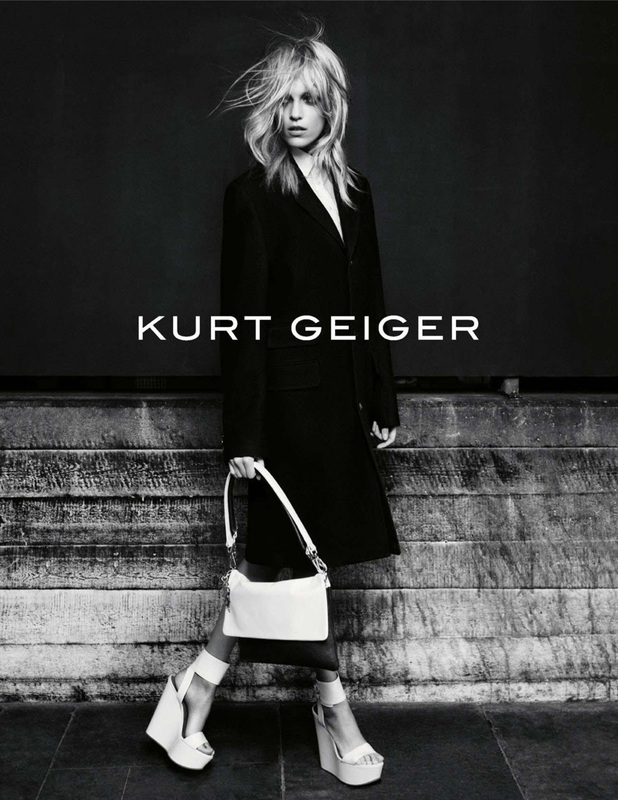 Anja Rubik reigns supreme with another show stopping ad campaign from Kurt Geiger. Oversized coats, tweed and leather complement an eclectic range of sky high wedges, studded platforms and Chelsea boots with a twist for the 'Pretty in Punk' Autumn/Winter 2012 collection. Keep an eye out for the Vicky platform boot, a stunning vamp red velvet platformed Chelsea boot... My favourite of the entire collection!